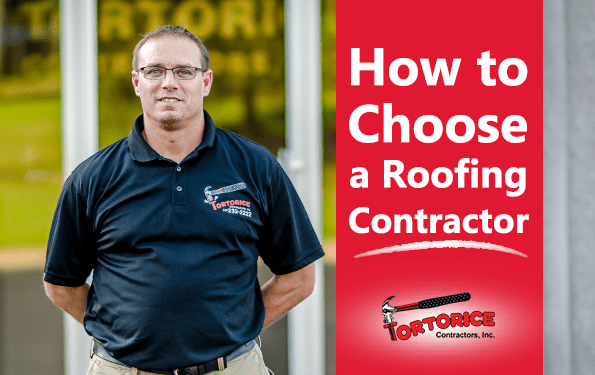 How To Choose a Maple Shade Township Roofing Contractor - Tortorice Contractors Inc. Hiring the best roofing firm is just like looking for the best employee to do the job. You need a good selection of candidates and then you need to interview them so that you know you are hiring the most qualified applicant for the job. Just like hiring a good employee, you need to select somebody from a group of candidates. You can look up Maple Shade Township roofing contractors in the yellow pages, Craigslist, and other online directories. You can then narrow down your choices to 3 candidates and call them to set up an appointment. Once you have secured an appointment you then need to conduct verification and do an interview. This process is needed so that you know you are hiring the best roofing company in the Maple Shade Township. But before the interview, you need to verify a few things to make sure that they have the required business license for your local area. You need to verify that they are a legitimate company by asking for their tax identification number, business address, website, and telephone number. Hiring an illegitimate contractor can result in lawsuits from illegal practices so you need to be careful and go through the verification process to ensure that the business is legitimate. Doing business with an uninsured roofing contractor from the Maple Shade Township can end up costing you thousands of dollars in hospital bills and damages should they occur on your property. This is why it is important to ask your contractors for their proof of insurance. If a roofer repairs your roof and an accident occurs that results in an employee’s injury, you could end up paying for their hospital bill because the uninsured company does not have employee compensation insurance. This is also true for any damages that occur to your property. Once you have proof of insurance, verify the policy with the issuing insurance company to ensure that the coverage is valid and covers the time span the Maple Shade Township roofer will be working on your property. A reputable roofing company in the Maple Shade Township will be happy to provide you with references from past clients who you can call to ask if they have done a good job. Interviewing past clients is another way of verifying the work of the company. The references will also be able to provide you with the information you need on how the company does their job. Another tip is to visit the Department of Professional Regulation or the local Better Business Bureau (BBB). They will be able to provide you with an unbiased opinion regarding roofing contractors from the Maple Shade Township. There are certain types of roofing that require certification from manufacturers to ensure that roofing firms from the Maple Shade Township are properly trained to install them. If you have chosen this type of roofing, it is best to ask for a certification of training to ensure that the roof is correctly installed. This can help save you time and materials and can prevent any possible future damage to your home. Insist that the Maple Shade Township roofing companies that you have initially chosen submit a contract that lists the details and scope of the job with the time frame included for the project. The contract should also contain the number of people working on site, the types of materials used, cost, the equipment they will bring or use, and the warranty for the roof. Having a contract will help you avoid any problems, squabbles, and errors that could occur when they are fixing your roof. A contract is worthless if you don’t understand it so make sure that you do. If you don’t understand the contract submitted to you by the roofing contractors from the Maple Shade Township, don’t be afraid to ask them questions and for clarifications. You should have a detailed proposal from all the roofing contractors from Maple Shade that you have chosen. Now that you have all the information you need, you have to do your own research on the materials, the cost of labor, fees, and warranties involved for the job. This is to help you get an idea of what is involved with this project and how much it costs. This information, along with the submitted proposals and contracts, will be able to help you choose the best roofing company in the Maple Shade Township that will be able to meet your demands and requirements. Don’t choose a roofing company based on cost alone. You need a Maple Shade Township roofer that can provide quality service and the best value for your money. But don’t rely solely on the information that they give you. Research and compare the roofing company to others so that you can hire the best roofing company in the Maple Shade Township to do the job.